I made this picture few days ago. Yes, you're right; my prelim is starting from the 8th of this month, and today is 5th. I do such crazy things only during exams. For the three frames in my room, I had chosen these three ideas: 1. One of my favourite quotes with a fashion illustration, 2. 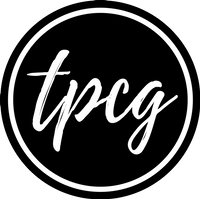 TPCG's logo, and 3. Golden sparkle. I had decided initially that the sparkled frame should be a square shaped one; however, due to bad choice of drilling screws in the wall, I had to make this frame a rectangular one. Take a cardpaper, and draw the size of the picture you'd like. I liked the 'size' of the Sense and Sensibility novel, so I took its shape. Measure the area of the space available on the wall, and cut few inches from the borders, and you'll know the size of your picture. Take a bowl. Put few drops of water. Add glue to it. It should be a glue paste. Mix water and glue with the brush. Apply the paste on the marked area of the cardpaper. See to it that you apply the paste to the corners properly. Sprinkle a packet of glitter. I required just one packet. Repeat the steps if there's white space. Take the paste, and re-apply it to the whole glittered area. Now the most boring part remains. Keep it for drying. It takes fifteen minutes for Mumbai's heat. Finally, cut out the image. You can reapply glitter on the white spaces if needed. (Don't worry; the shape of the cardpaper will not be curvy forever. It will straighten itself slowly. Have you ever tried sparkling objects?